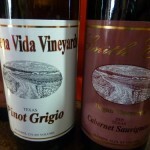 Spring has sprung for Umbra Winery at La Buena Vida Vineyards in Springtown. 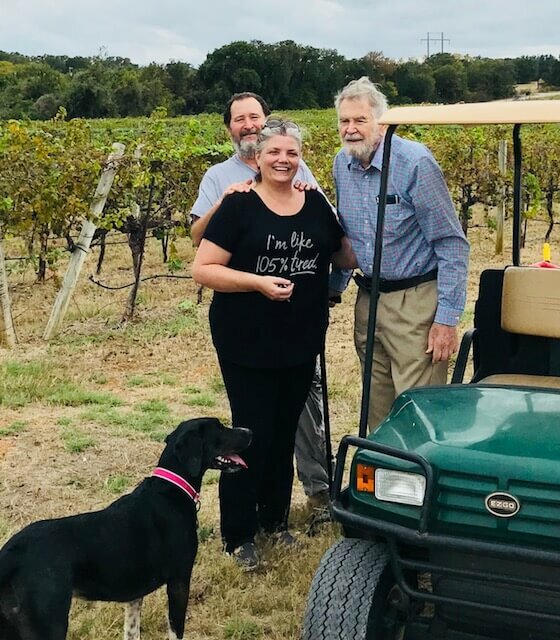 John and Debbie Wilson of Umbra Winery are carrying on Dr. Bobby Smith’s vision while bringing their own touch to the property, but the vines are doing what they’ve done for decades – bud break. 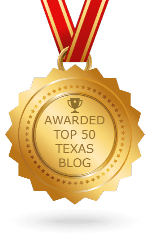 The Pinot Blanc, Pinot Gris, and Viognier vines are racing each other to see who grows the fastest while the Wilson family races to complete the guest cabins purchased from the real estate show Texas Flip and Move. The first guests are already booked to slumber among the vines. 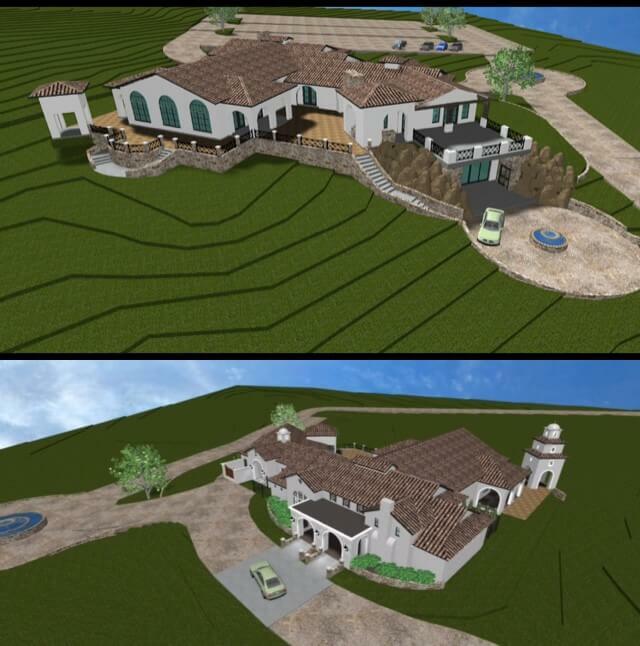 By summer, guests entering the property at the top of the hill will be able to enjoy a state of the art event center and tasting room with sweeping views of the vineyards below. Fulfilling Dr. Bobby Smith’s vision for having a large event center and getting La Buena Vida back into production is a family affair. John’s son Alex (known as Gio) assists with winemaking. Debbie’s brother, Robert Ray, is the production manager, and his wife Heather assists with cabin rentals, events, and activities. The family is rounded out by Robert and Heather’s baby girl, Emma, winery dogs Zoe and Pepper, Dorper sheep, guard dogs Chip and Claire, and recently, two donkeys named Lucy and Desi. 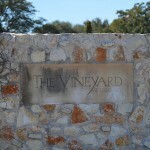 Dr. Smith had long envisioned utilizing the winery for large group events. 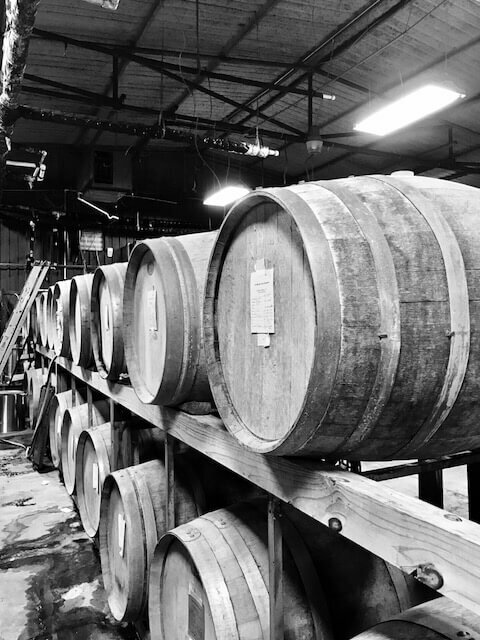 The new 8,000 square foot event center and tasting room will be able to host events for up to 240 people seated, complete with a bell tower with an 1870s era bell from an old church, and a barrel room holding 40-50 barrels of wine. 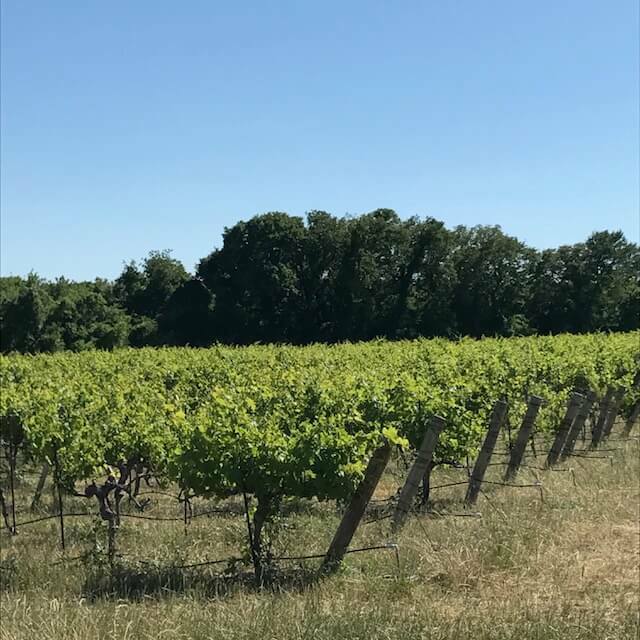 The lower portion of the property has been converted into a motor court of sorts with seven beautifully decorated one to three bedroom houses clustered around a large green space nestled next to the vineyard. Debbie Wilson laughingly said that had she known how much effort, time, and money would be required to run electric and plumbing to that side of the property, they probably wouldn’t have started that phase of the project just yet. But, if we all knew in advance how hard something might end up being, we’d probably never get off our couches! It was important to Dr. Smith that whoever purchased the property also live on site. He wanted to be certain that it was the love of the land and the love of wine that drove someone, not just the dollar signs of the property. The Wilsons were those people. 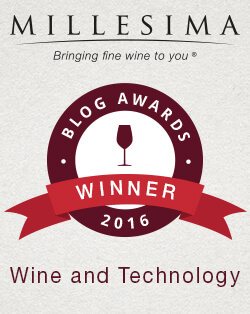 He has become their wine mentor and they were delighted to take up residence in a little house on the property. A new house for them is being built on the top of the hill next to the event center, but the original house will remain in use by family members. 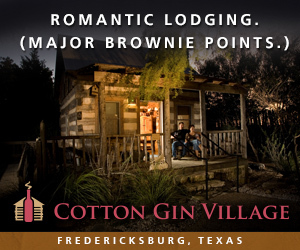 With about eight acres under vine, they harvested forty tons in their first year. 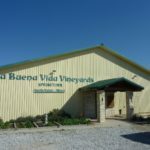 When John and Debbie purchased the winery in December 2016, they had already harvested and processed three barrels of Vidal Blanc which was bottled into 60 cases of a white wine they named Casa Blanca. 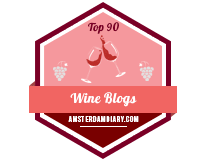 I had a chance to taste from the barrel and found this to be a delightful, almost medium-bodied wine with just enough sweetness to satisfy the palate on a warm spring day. The production center also houses a bottling and labeling machine, a French riddling rack to make sparkling wines, glycol cooled tanks that remain a constant 62 degrees, and everything you need to make Mead. In fact, Umbra produced 2000 gallons of Mead for the Scarborough Faire in 2017. Years ago, when John and Debbie first started talking about becoming winemakers, their eyes were looking across the Atlantic to Tuscany. 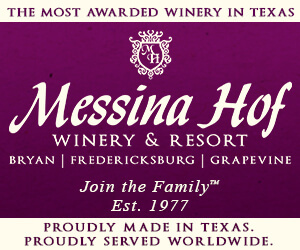 But with the purchase of this facility, John is instead looking to bring some Italian winemaking to Texas, and will likely try his hand at a Vin Santo style dessert wine. John explained that one of the benefits of purchasing a facility like La Buena Vida is that all the equipment, no matter how rustic it may be, was there for immediate use. By having full access and control over the facility, every aspect of the production is now in their hands. In the past, they had been leasing space in Little Elm and there were several factors out of their control. 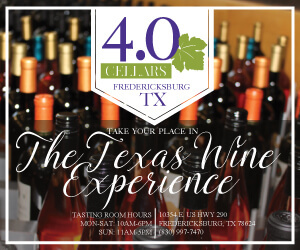 They have been making wine with grapes from both Texas and Washington at that facility, and are excited to see what they can do with the grapes they are now growing themselves. The vines are currently producing Pinot Blanc, Vidal Blanc, Chambourcin, Viognier, Syrah, Pinot Gris, Albarino, and Tempranillo. John would like to focus on the grapes that do well in the sandy loam such as Tempranillo and is considering planting Garnacha (Grenache) which may mean pulling out some of the hybrid vines. Time will tell. For now, he and Gio are focused on using what they’ve got to get some juice into bottles. When I asked about plans for selling grapes, he wasn’t certain on how that would look this year but was thinking there would be some sales in the mix. Before we headed outside to walk the property, the family took me into the back of the facility to see the port barrels inherited from Dr. Smith. Single barrels dated 1987, 2004, 2009, and 2010 filled with wine were an exciting acquisition with the purchase. I was treated to a barrel taste of the 1987 port, mostly made from Syrah, and I was transported to my happy place. It’s rich, complex and more semi-sweet than sweet. 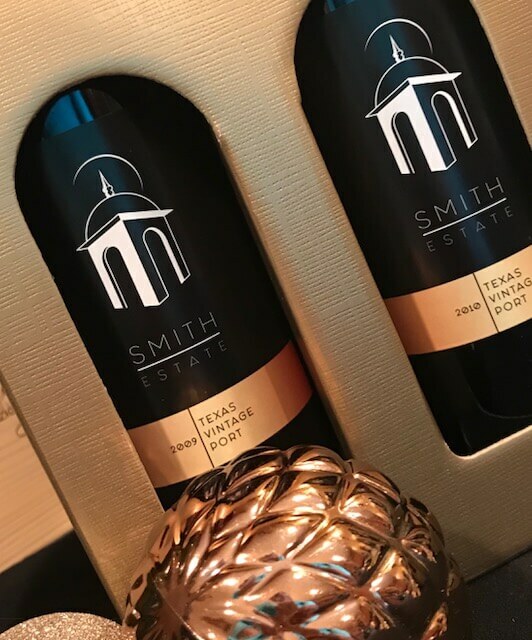 In honor of Dr. Bobby Smith and his vast contribution to the Texas wine industry, the Wilsons are naming the port line Smith Estate Vintage Port and have included a description from Dr. Smith on the back label. 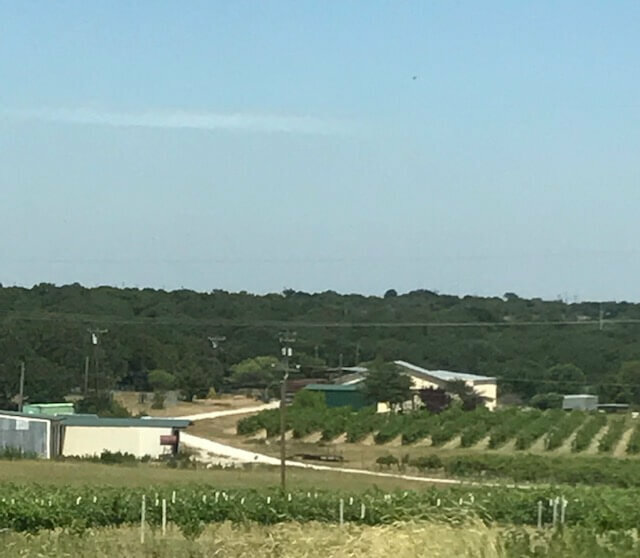 The bottled 30-year old port is available at their Umbra Winery tasting room in Grapevine now if you can’t wait until the Grand Opening of the vineyard this summer. The cabins are ready to rent through Airbnb and I’m certain the Wilsons will welcome you with open arms. 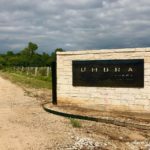 Check out the progress reports on their Facebook page that you can find on the winery page here for Umbra Winery at La Buena Vida Vineyards. 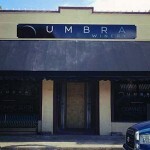 Kimberly S. Martin and her husband Andrew wandered into the Umbra Tasting Room in Grapevine the first week it was open and have been enjoying the Wilsons heart and soul in a bottle ever since. 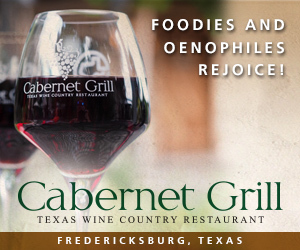 She is a fierce advocate of the Texas wine industry but was “forced” to move to Naples, Florida due to her husband’s job transfer in March. Every trip back to Texas will now require an extra suitcase to bring back high quality wine since it is not yet clear that Florida makes any. Johnny. I am so proud of you & Debbie & your success. Congrats & best of luck in future. Love y’all & God Bless. Your Cuz Dana. Thank you Dana. 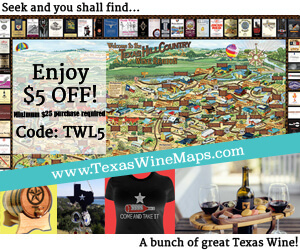 We appreciate the love and support – its keeps us going! when can we expect the opening? Our builder tells us it should be complete in June, but that can change with weather and other factors so right now we are projecting a July opening . Regardless, sometime in July-Aug is likely realistic.